Which Musical Instruments Are The Toughest To Learn? 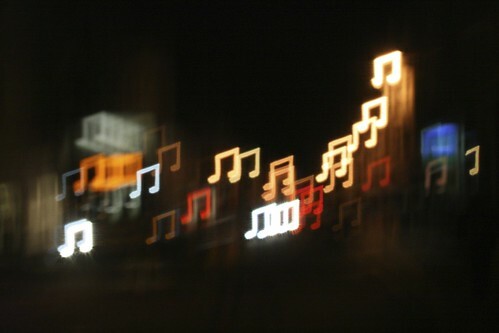 Music is something that touches all of our lives. Regardless of the genre we enjoy, most of us can identify with a particular style, song, or artist in some way. For many, this love of music drives them to learn an instrument. While some people learn an instrument based on their favourite genre or artist, many love the challenge of learning an instrument, so will choose something they believe will be difficult and give them a high sense of achievement. With that in mind, we’ve put together some thoughts around the hardest instruments to learn, and discussed why we think they pose such a challenge. The violin is something of a unique instrument as it has the uncanny ability to look easy one minute and downright impossible to play the next. For us, there is no question what category it comes into, which is why it features here. What makes the violin so difficult is that if you make a mistake, it is blatantly obvious. At the same time, it is one of the strengths of the instrument, but if you’re not a perfectionist, you’re probably best leaving it well alone. One advantage you have if you want to learn the piano is that you can use a keyboard to cheat somewhat before moving onto the piano itself. If you get a keyboard where the keys light up to train you, you can easily transfer what you’ll learn over to a piano. Piano is a great instrument for parents to learn as they can then pass their skills over to their children, who will benefit massively from learning piano in many ways. One issue is that it is difficult to get a piano into your house due to their size, as turning them onto the side damages them, probably something you’ll want to avoid given they’re also expensive! Although learning how to play saxophone is difficult, doing so will help you learn how to breathe in and out at the same time, which is a brilliant party trick as much as anything else! If you’re quite a confident musician already, the sax is a great instrument for developing yourself further, especially as there is a lot of licence for improvisation and playing around. Before you do that, however, you will need to learn the basics, which can actually be more difficult to pick up than the advanced learning you’ll move onto later. Truth be told, we could have featured any woodwind instrument here and it wouldn’t have been out of place. The flute wins the day for us, however, purely because we struggle to comprehend how anyone manages to put together the thought processes of their sight and fingers while also listening to their sound to ensure it is the right one. Of course, once you get some experience, it is probably quite easy, but we’d imagine it’s a fairly frustrating journey going from absolute beginner to a position where you’re ready to learn a lot more. If you love music, then learning an instrument is a fun and inspirational thing to do, teaching you a new skill while also perhaps enabling you to explore new career opportunities. Ronnie is a musician who loves guitar, but is currently considering learning a new instrument. He is probably going to try the saxophone, although the piano features strongly in his thoughts, too.